The MAKER MILE is one square mile of open workshops, artist & design studios, fabricators, galleries, micro-factories, shops and businesses, centered on Mare St. between Bethnal Green and London Fields stations. The MAKER MILE joins the dots on the ground for this diverse, existing network of suppliers, makers and outlets so that local communities can discover the maker culture and resources open to them. On Monday 21st September, as part of the London Design Festival, the MAKER MILE will launch with the Open Mile event – a trail of workshops, open studios and activities throughout the evening. Yes, join us on a Field Trip: a series of mini-tours taking you behind the scenes of London’s hidden design workshops, small factories and micro-manufacturing spaces. 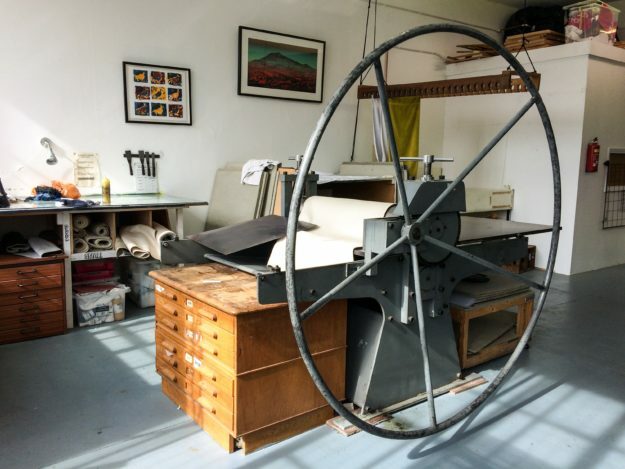 We roam far and wide, from a working victorian factory in Woolwich, to a high-tech sculpture fabrication studio in Acton, a heritage craftswoman’s workshop in Shacklewell Lane, to specialist textile screen printers in a Deptford railway arch. Tickets are only £8 (hurrah! ), including an hour-long tour, demonstrations and a talk by a leading founder or studio manager of the space. Field Trip: an independent fringe event taking place during the London Design Festival. We are proud supporters of the Maker Revolution.